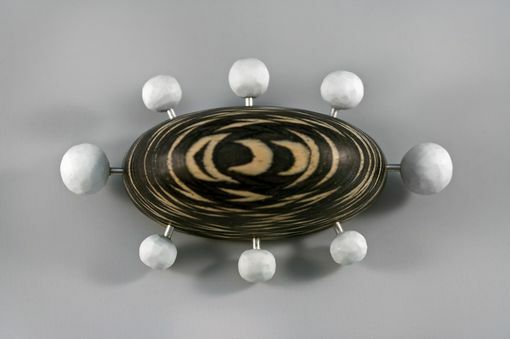 Carved wood pin with plastic "planets" and sterling silver. Single pin stem. Also available carved from different plastics and woods. 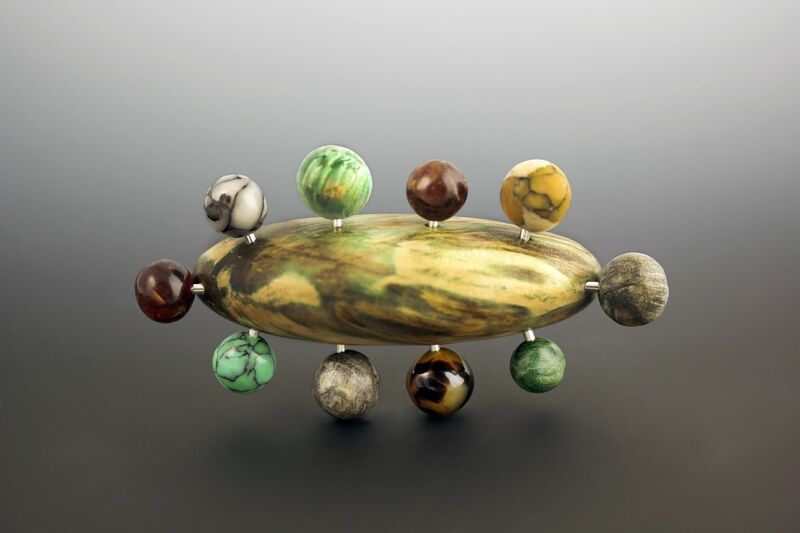 Dimensions: variable from 2.5" x 2" x .5"